For the love of turkey red, The Gatherings is offering a Victorian, early 1900’s tablecloth in a woven stylized design. The cloth features a red and tan stripe check. Each check alternates with a flower, or leaf design through the center and along the two long sides. A border on the two short sides, features the stylized pattern. 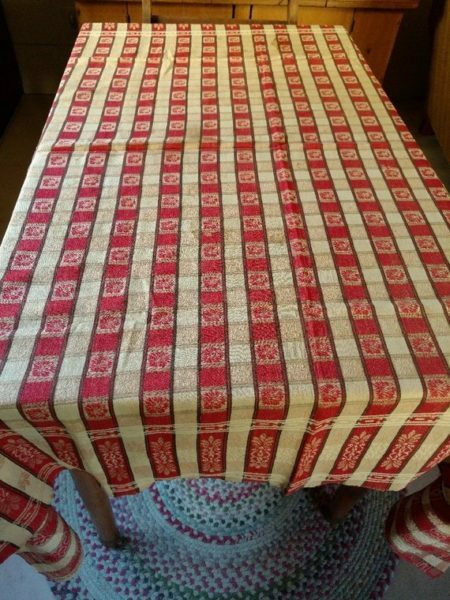 A typical style cloth one would find on a farm house kitchen table. Cozy charm!